We now offer noise control & room acoustics products! 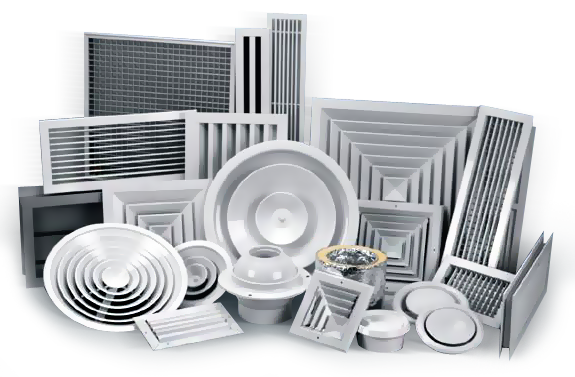 We are manufacturers’ representatives for a variety of air distribution products including grilles, registers, diffusers, louvres, fire dampers, fans, and flexible duct. Large warehouse with lots in stock! We also offer vibration isolation and seismic restraints, as well as noise control building materials and interior room acoustics products. Many items in stock!